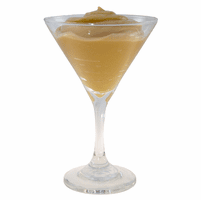 Product Details: Just blend our butterscotch pudding mix with milk for a classic rich and creamy pudding dessert bursting with flavors of caramel, toffee, and rum. Instant pudding mix is a favorite convenience pantry staple in our house. We use it to make quick desserts, including parfaits, cream pies, trifles, and filled donuts. Stir some pudding mix into cake and cookie batters for extra flavor and moisture. Use it to make smoothies creamier and richer. Shelf-stable; no refrigeration required. Ingredients: pudding base (sugar, dextrose, modified corn starch, tetrasodium pyrophosphate, 2% or less of: disodium phosphate, monoglycerides, artificial flavor, soybean oil, salt, soy lecithin, whey, sodium caseinate, palm oil, yellow 5 & 6), raw cane sugar, nat. butter flavor (maltodextrin, sea salt, butter powder [butter (cream, salt), dry buttermilk], buttermilk, nat. butter flavor, canola oil, beta carotene coloring), molasses powder (molasses, maltodextrin), nat. & art. butterscotch flavor, modified food starch, xanthan gum, cellulose gum, nat. & art. English toffee flavor, caramel color, nat. rum flavor, yellow 5 lake, yellow 5 & 6. Contains milk and soy. Packaged in a facility that also handles wheat, milk, soy, egg, sesame, peanuts, and tree nuts.